Falling off: The true advice of falling off a Horse, by Melody Kaye. Do you feel that getting hurt because of a horse is worth loving them? Did you know that on average 200 people a year get injured horse related? So many adults and children ride and fall off, sometimes they can be serious and others can be not so serious. How to get back up. When you first fall off your horse you’re thinking am I hurt? Will I be okay? Your trainer will come over and make you feel good and then you will get your horse back and mount and try again. When you’re in the ring just you and your Horse and when he/ she starts to buck you need to stay up tall drop your whip or crop and pull back the reins. It takes no fear. You really can’t be scared when you’re on a horse because they sense your fear. When you fall off your horse or pony you can get many major injuries or small injuries. Some injuries are: concussion, arm out of socket, broken spine, leg broken and death. Death can be pretty serious when you ride. You never really know when your horse could get mad! “Yes, because horses are animals and living creatures too just like humans. I think that if you choose to treat your horse right they won’t try to buck you off, sometimes horses are spooked, and don’t know what to do,” says Emma Carroll, 6th grade student. “ Definitely because when you fall off you have to get right back in the saddle. Sometimes you risk your life, but its worth it. Sometimes horses are spooked or scared but just like humans, you have to give them a chance. ” Says Isabel Mishara, 6th grade student. Horses may be a dangerous animals but deep down in their heart they love you. Are the late nights worth it? It is a typical day for Madi Crozier, a 6th grade student at Wayland Middle School. As soon as school is over, she heads straight to dance for 4 hours of classes. After, she rides home, quickly eats dinner, takes a shower, then does her homework until 9:45. Then she finally goes to bed, around 10:00. Madi has about 45min-1h everyday to do her homework every night. She usually finishes everything, but sometimes, she has homework she doesn’t get to finish. “Her grades have dropped slightly since she’s started dance,” her mom Beth Crozier says. Dancing may be a fun sport, but there are also dangers involved. There are many injures dancing may cause. 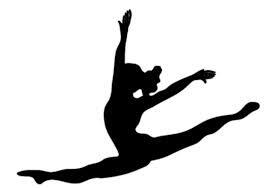 There is a dancer’s fracture, which is caused by landing from a leap on an inverted foot. There is also jumper’s knee, which is caused by jumping too much. Madi has made a large amount of new friends, thanks to dance class! Some of her new friends are Kayla, Brianna, Olivia, Makayla, and Melissa. She also made new friends when she switched studios. At her new studio she met Krista, Kamyla, Sarah, Victoria, Jordan, and Emily. In the end, you ask yourself one question, is dance worth it? Are the late nights, and the risk of injuries worth it? There may be some ups, and downs, but the answer is that it is definitely worth it! Injuries are the worst part of skiing, but is the broken and bruised body worth the rush you get from gliding in top of snow? “Yes they are,” says expert skier Jack M. Staiti. He fell on a mogle field and hit his humerus on a rock that dislocated it. “Im back out there and I love it.” He was nine when this happened and at age 12 he is one of the most solid skiers I know and will ski all day if he can. The resorts selection is mostly based on the amount of snowfall in the area and if there is good living. 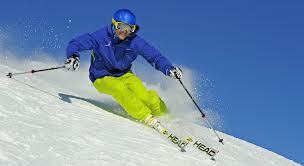 Currently in 2014 the top ski resort according to ski magazine is Jackson Hole. “Yes learning is hard but it’s worth it,” says Jack M. Staiti. “I love that I learned it’s one of the most fun sports I play.” Although it takes long to learn 20/21 people like that they took the time to learn. So whether you hate skiing or just don’t want to try, your missing out on all the fun. So get of that couch just once try it and you’ll be hooked, you have my guarantee. Chess is a board game that with king, queen, rook, pawn, bishop, and knight. When you almost catch the king on the other side, which means if it doesn’t move and you can catch it, you need to say check. Chess also help your brain works very well. You need to remember all the moves for all of the pieces, because they all have different rules about how they move. The most useful piece is the queen. Because that queen can move to where the dot is. That means the queen can move eight sides! North, South, East, West, and also Northeast, Northwest, Southeast, and Southwest. Bishop and rook is also very important. Bishop can move to Northeast, Northwest, and Southeast, Southwest. Rook can move to North, South, West, and East. If you can put bishop and rook together, then it would be a queen. Which you can’t. There is also the most important piece, which is the king, if the king died, you lose. The king can move a very tiny step which same with the queen, but can only move with one step. like this it is very small right? And the last is the pawn, which count as soldiers. The pawn moves different in different space. When you want to eat a piece, you can’t go straight, you can only go the Northwest and Northeast with only one block. But if your pawn is at the beginning, than it can move two or one block, again, if you want to eat a piece, you can only go one block with Northeast and Northwest. When your pawn is not at the beginning, it can only go one block straight. I like chess, because I think chess is fun. Sometimes I don’t have everything to do, I would play chess. Chess can help your brain move, because it makes me think about other things. Wayland player #11 steals the ball! 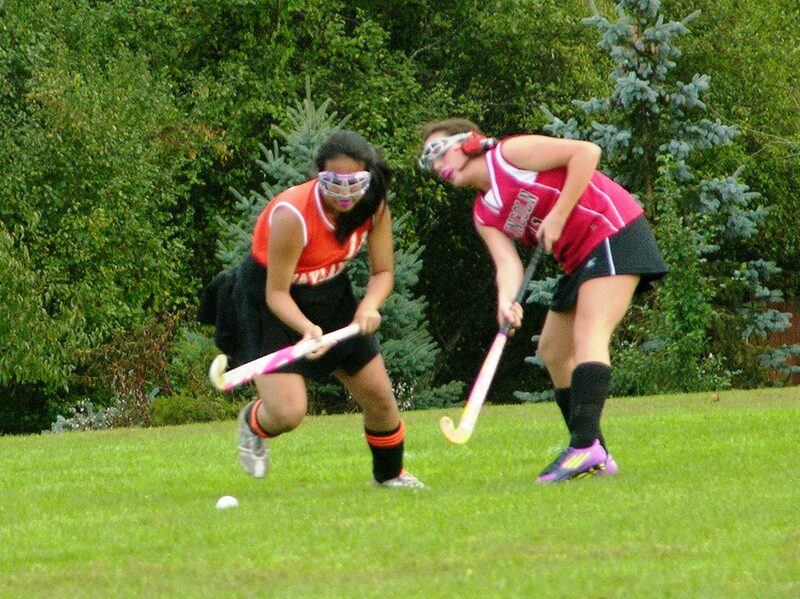 On Monday, October 15, the Wayland Middle School girls faced off against the Lincoln Middle School girls in field hockey. It was a battle of two Warrior teams. Everybody was pumped up as the first whistle blew to signal the start of the game. Since Wayland won the coin toss, they elected to get the ball. Even with the advantage of starting with the ball, Lincoln still scored the first goal. #17 of Lincoln scored the goal with a beautiful dodge. After that, there wasn’t a lot of action near the goals, due to a huge amount of scrambling for the ball at the half line. Wayland finally scored, a poke-in from #6. 1-1 going into the half. There was a lot of confidence oozing from the Wayland bench, and they started a rousing cheer to begin the second half. There wasn’t a lot of action in the second half, and Wayland scored 4 goals to easily take the game. The Wayland goalie looked bored. To the cheers of many, Wayland won 5-1. From our perspective, #11 was the player of the game, with 4 assists, and 1 goal. Come next game! You never know who you might meet! I myself saw the girl’s soccer team come to cheer on the field hockey athletes. Come on down! The team awaits you! Bill Russell is the greatest center of all-time. He was an innovator of the game, the ultimate team player, and forged defense into what it is today. Bill Russell was born on February 12, 1934 in West Monroe, Louisiana. All of Bill’s childhood was spat upon by segregation. It got so bad that his family decided to leave for California. It was not perfect but better for Russell. He barely made the JV team as a sophomore, but worked tirelessly to become a better player. His work soon paid off, because he made varsity as a junior, then emerged to the starting lineup for his senior season. He was not a star but had the intangibles to retrieve a scholarship from the University of San Francisco. Bill jumped at the opportunity to play college ball and made the varsity team by his sophomore season. The next two years were great to Bill and his team as they won two consecutive NCAA titles. At USF Russell was so dominant that the NCAA had to change their rules! They had to widen the paint to 12 feet, and prohibit goaltending. After Bill graduated from college, he declared himself eligible for the NBA draft. He was drafted by the St. Louis Hawks but was immediately traded to the Boston Celtics. The Celtics were a very good team, and needed Bill’s help soon to get even better. But Bill left to win a gold medal in the 1956 Olympics. Once Bill got back he was amazing, leading the league in shot blocking and rebounding his first year! When the playoffs came around the Celtics cruised to the NBA finals to play the St. Louis Hawks. Both teams battled it out until game seven where it went to double overtime. The Celtics finally won the game 125-123 and the NBA title. Over the next 12 seasons Bill Russell did what he normally did… play amazing basketball, usually scoring in double figures and pulling down about 20 rebounds. He led his team to eight straight championships from 1959 to 1966. One moment that really stands out in that span was his amazing NBA finals game seven in 1962 against the Los Angeles Lakers. In that game Russell pulled down 40 rebounds and scored 30 points… and, of course, his team won which is all that really mattered to Bill. Even though that coming from his coach, many other basketball players, coaches, and alumni would have the same opinion of the greatest center that ever played this game. When looking at this year’s March Madness tournament I see teams like The Ohio State Buckeyes, the Tar Heels of North Carolina, Syracuse and then… Harvard. Not to say they don’t fit in with the group I just mentioned but the Crimson can say the had a very respectable season at 26-4 overall. They will play Vanderbilt in the round of 64 on Thursday, which will make a stage for Harvard’s group which is eager to play and showcase their ability at the next level, a level their team as not reached since 1946. I am positive they will be ball-Lin. This year 2012 will be the 66th anniversary of the Crimson accomplishing the feat of making the Tournament. You never know, Harvard could be a magnificent Cinderella story for this tournament that is dominated by big name schools in the industry. But maybe Harvard can infiltrate one small crack which leads to the world of perplexed moments and games. Among those who are craving for there chance to solidify there March glory is Kyle Casey. The talented 6-7 forward as helped Harvard on both ends of the floor, while energizing the bench and crowd with thunderous jams over opponents. He, along with senior Keith Wright, will be trying to go out with a bang. Point man Brandyn Curry will try to wear out Vanderbilt with his speed and strength. I have only seen Harvard in the little Lavietas Pavilion but there is no question in my mind that this young and exciting team will be able to bring their talent, along with Crimson pride to the next level. The first two rounds of March Madness is over and only 16 teams remain. The most surprising thing that has happened this year is the number of upsets there have been. One of the big upsets was George Mason beating Villanova. George Mason came out of nowhere this year and got a 8 seed, then beat Nova. But their season came to an end as they got destroyed by the #1 seed, The Ohio State University. Another big one was Moorehead State beating Louisville. They got sent home by Richmond…oh ya Richmond. The 12 seed beat the 5 seed Vanderbilt, then beat Moorehead state and now there in the sweet 16. Now there is this one upset team who might have a chance going to the final 4. VCU. They won the 11 seed play-in game, upset Georgetown, then upset Purdue, and now are facing Florida State (who upset Notre Dame in the second round) who they could probably beat and just like that there in the elite 8. And there is more like Marquette beating Syracuse in the second round, Gonzaga beating St. Johns (N.Y.) in the first round, and 8 seed Butler beating 1 seed Pitt in the second round. There are many teams like Richmond, VCU, Florida State, Butler, Marquette, and Arizona who were a surprise to the sweet 16 (but not Zona for me. I predicted them going to the sweet 16). The road to Houston continues with three point teams like Ohio State, and comeback teams Like VCU and Richmond, that could have a chance. The final 4 spots are still open for an upset team… Then again, Ohio State, San Diego State, and Duke are very good. The Orange and Black is the Wayland Middle School Newspaper. It is advised by Rachel Barker and Colin Meiselman and was founded in 2004 by Graeme Robinson. It is a production of Wayland Middle School Students. Who do YOU want to vote for?